As we have learned the application of aluminum sheet on aircraft before, today we are going to talk about the application of aluminum sheet in truck and where to find the best aluminum sheet company. The aluminum sheet alloys are usually used as truck carriage board. Dump truck generally use 3 ~ 6 mm thick 5A03 and 5A05 aluminum alloy sheet welding for truck body, to increase the wear resistance of body, truck often using steel plate for lining. The thickness of the side plate is 9 ~ 10 mm, and the floor is 12 ~ 18 mm. Japan’s truck are basically all aluminum, boxcar plate are composite structures, the outer layer is 1 ~ 2 mm thick aluminum plate, in the middle is filling materials, the inner is aluminum or steel plate. In the United States,the semi-trailer van with aluminum alloy body side board and body inner board are made of 5052 4 ~ 5 mm thick aluminum sheet. At present there are about 3 million semi-trailer vehicles in China, while the fuel consumption has accounted for more than 25% of the total consumption (138 million t). At present the commonly used ones are heavy trailer, for example, hundreds of kilometers of fuel 40 ~ 60 l. According to the statistics, 10% light weight reduction can save fuel by 6% ~ 6%. If the aluminum trailer popularization ratio reached 70%, and can save fuel 8 million ton every year, and reduce carbon dioxide emissions of 20 million ton, can also bring about 200 billion direct economic benefits for transportation every year. 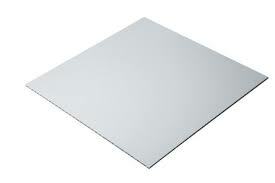 So we can have the conclusion that aluminum sheet are every popular and have a bright future! Let us focus on the question that where to find a superior aluminum sheet company, here is a great manufacturer for you, Haomei aluminum can offer all the service you want,and we can even do better than other competitors. I can promise that you won’t be disappointed if you contact our sales manager, all kinds of professional aluminum sheet alloy are waiting for you in Haomei!